The Shoreline Hotel’s flagship staterooms are the largest rooms and sit perfectly on each corner of the hotel. 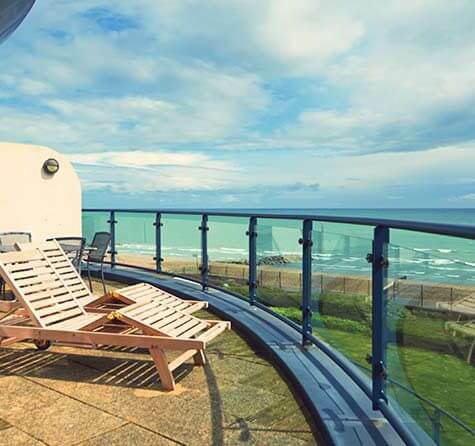 So go ahead and treat yourself to the glorious sea views from your own balcony, day and night. The Shoreline Hotel’s flagship Staterooms have been given a brand new nautical makeover. 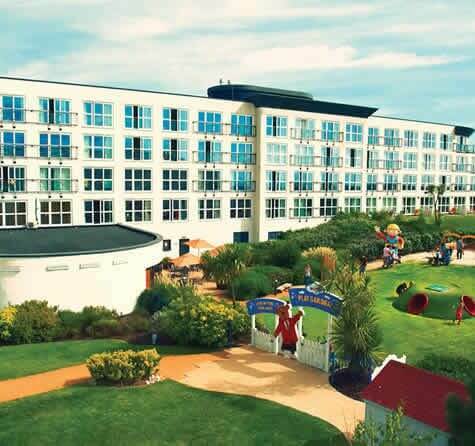 Designed especially for families with younger children, a Stateroom a wonderful place for you and your family to stay on a Butlin’s break. 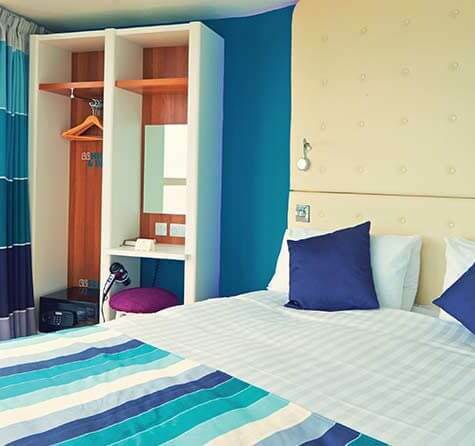 As the perfect place to call home on your holiday and somewhere you can create wonderful memories as a family, our Staterooms offer you the space to spend some quality time together. 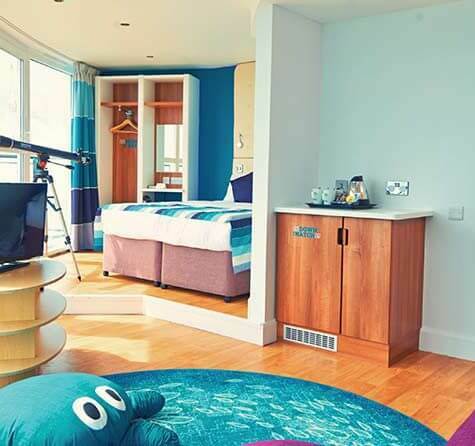 Take in the beautiful sea views from the new open-plan lounge area, complete with a comfy octopus sofa and a Captain’s helm activity wall that will keep little ones entertained. Plus to keep everyone safe and sound, we’ve had all the furniture made with curved edges. We’ve also thought of bedtimes for both the little ones, and Mum and Dad. 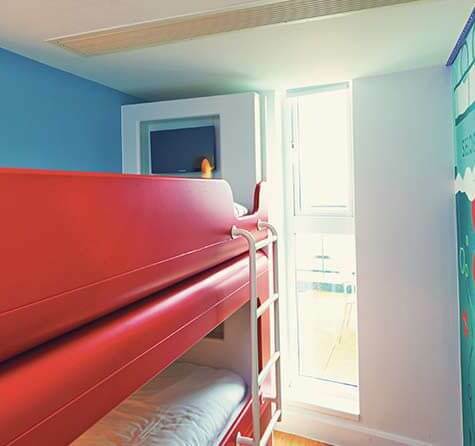 A secluded double bed for Mum and Dad, and a separate children’s den complete with sleep tight curtains will make sure everyone gets a good night’s sleep ready for the big and adventure-filled days ahead!